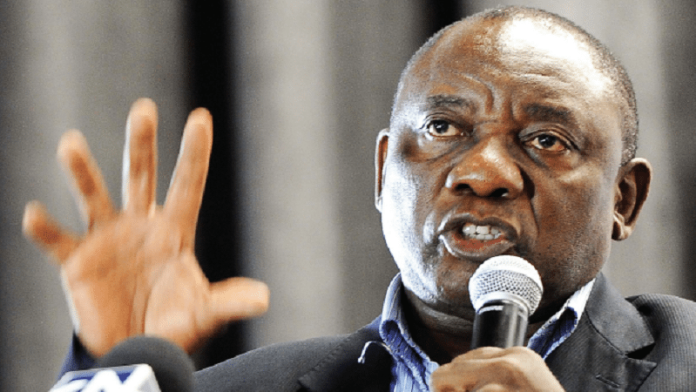 SOUTH African mining unions gave differing responses to the election of Cyril Ramaphosa to the top chair in the African National Congress (ANC), according to a report by Fin24. “We wish comrade Cyril Ramaphosa and the collective all the very best during their term of office. We expect the newly elected President to be bold and brave to lead South Africa out of the current crisis of corruption and state capture into a prosperous future,” said David Sipunzi, General Secretary of the National Union of Mineworkers (NUM). This was a far cry from the view of the Association of Mineworkers and Construction Union (AMCU), a union which rose to prominence during pay-related violence and work stoppages on the country’s platinum mines – a social movement culminating in the murder of 44 miners at the premises of Lonmin’s Marikana mine in August 2012. AMCU has long criticised Ramaphosa for his role in the lead-up to the shootings. According to an e-mail sent by Ramaphosa, he advised mining bosses to act decisively with the protests which extended far beyond signed up AMCU members to include unemployed people living within the environs of the mine. AMCU believed that Ramaphosa would serve the wishes of foreign and local capital given his business links and history as a rich and powerful entrepreneur. Said AMCU: “The reaction of the markets demonstrates how big capital, domestic and foreign, perceive the new leader of the ANC as the gatekeeper to their interests. “This is reinforced by his reformist R20 an hour National Minimum Wage when workers are pushing for a living wage”. The markets responded favorably to Ramaphosa’s election victory during the ANC’s elective conference in which he beat rival Nkosasana Dlamini-Zuma to the presidency of the party – a development that almost certainly positions him to become the country’s next president following planned national elections in 2019. Ramaphosa will succeed Jacob Zuma whose policies and decision-making are widely thought to be responsible for the downgrade of South Africa’s credit ratings, as well as the shrinkage in economic growth to below 1% when a growth rate of 5% or more is required in order to create a sufficient amount of new jobs in the country. Cyrill looks to have crumble already on Ace’s appointment and not wanting to challenge it. I am sure we will see far many more moments of compromise by this man in the years to come. Poor guy has been surrounded by a bunch of crooks and cannot do anything without the NEC – never mind dealing with State Capture or JZ. Weak, weak, weak! Said AMCU: “The reaction of the markets demonstrates how big capital, domestic and foreign, perceive the new leader of the ANC as the gatekeeper to their interests. And herein lies the problem…. Let’s put an ignorant individual in charge that frightens off investment every time he/she speaks in public. That’ll protect and create new job, AMCU, won’t it?!!!! Oh. Hang on. We’ve got an individual like that at the moment – and that’s really worked well, hasn’t it?